If misery loves company then it must be ‘friendly times’ for the Canadian and Chinese wood products industries. In today’s news, Ross Marowits of the Canadian Press writes that the US Department of Commerce has officially launched its investigation to examine allegations into whether “softwood lumber imports from Canada were dumped into the country and harmed the American forestry sector“. If they decide in the affirmative, they will “issue countervailing duties on Feb. 21 and anti-dumping duties on May 4”. Meanwhile, in Furniture Today, Thomas Russell writes that a group of US Hardwood Plywood producers are seeking duties of “more than 100% on Chinese-made materials they believe are priced unfairly“. Russel notes that even though a similar case failed in 2012, their solution is to “use the same playbook and bring another case“, (which is sure to sound familiar to the Canadian Industry). 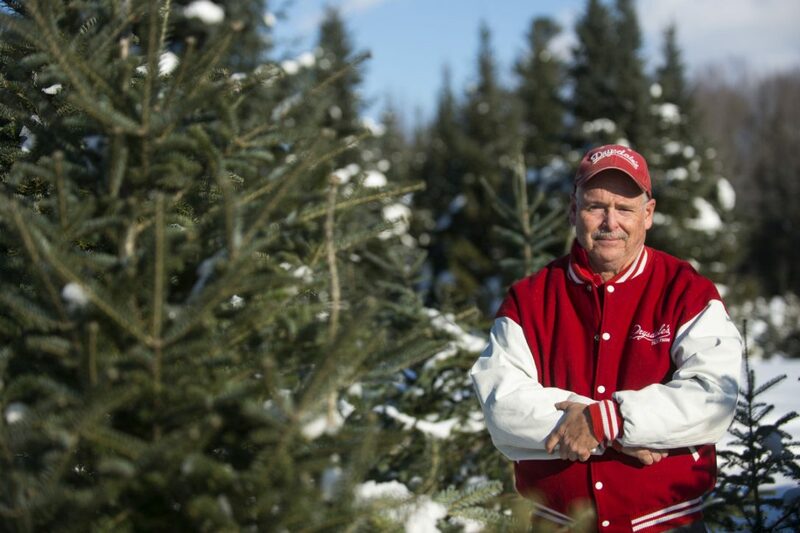 Finally, on a Christmas note, we have an interesting story about a Chilliwack BC tree farmer who exported Christmas trees to Azerbaijan, with KGB approval of course! The U.S. government says it is launching investigations to determine whether softwood lumber imports from Canada were dumped into the country and harmed the American forestry sector. The U.S. Commerce Department says it will work with the U.S. International Trade Commission to examine allegations that wood was dumped at less than its fair value and that Canadian forestry firms received unfair financial assistance from governments. The decision to investigate is in response to petitions filed last month from the U.S. Lumber Coalition and could result in the imposition of preliminary duties in the next few months. The Commerce Department will determine whether dumping took place while the International Trade Commission will decide if the U.S. industry was materially injured or threatened. The impending closure of Tolko in Merritt brought up a mix of emotions for mill worker Eddy Watkinson during the last two weeks of operation. “Sad and excited and scared — just a lot of different emotions,” he said. The last logs went through the sawmill earlier this month and employees were busy last week shutting down the operation, which officially closed Friday (Dec. 16). “It’s been like a slow death in a way because going to the mill it’s so quiet and you’re always used to it being so loud,” said Watkinson. Friday was an uncharacteristically sad day in the workplace, as Watkinson had to say goodbye to the many friends he’s made at the mill over the course of his 17-year-career. 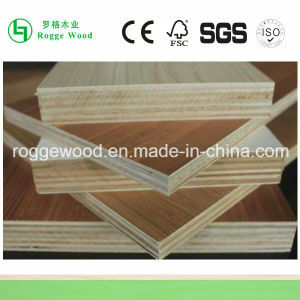 WASHINGTON D.C. – Both opponents and supporters of duties on Chinese hardwood plywood materials including components used in furniture, are presenting their respective sides in a case that could impact the cost of domestically produced furniture that uses these imported components. On Nov. 18, a group of U.S. hardwood plywood producers filed a petition with the U.S. International Trade Commission and the U.S. Department of Commerce, seeking duties of more than 100% on Chinese-made materials they believe are priced unfairly. This unfair pricing, they say, is causing injury to domestic producers, a factor they believe warrant duties to help balance the cost between U.S. and imports of the wood components. Katahdin Forest Products, the Oakfield-based maker of cedar log homes, is considering expanding its sawmill in Ashland at the same time that a lumber dispute between the U.S. and Canada leaves a cloud of uncertainty over the market. Amid ongoing growth in sales of log homes and fences, Katahdin Forest Products is looking at the possibility of “a significant expansion” at its Ashland mill, according to David Gordon, the company’s president. The potential expansion would rely on electricity purchased directly from the nearby ReEnergy biomass power plant at favorable rates and could roughly triple the mill’s employment, Gordon said. 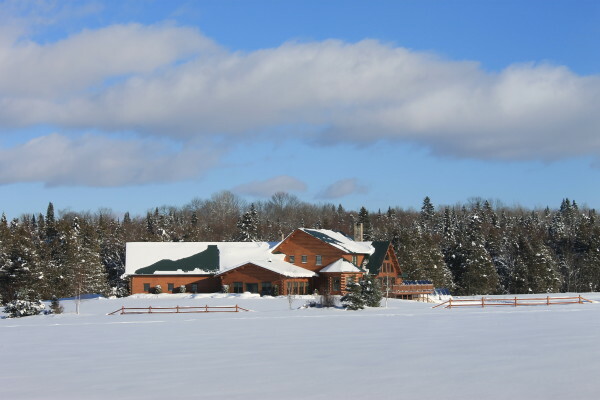 Katahdin Forest Products, best known for its cedar log homes, purchased and restarted a softwood sawmill in Ashland in 2009 and has since invested about $200,000 and brought the number of workers to 11, Gordon said. 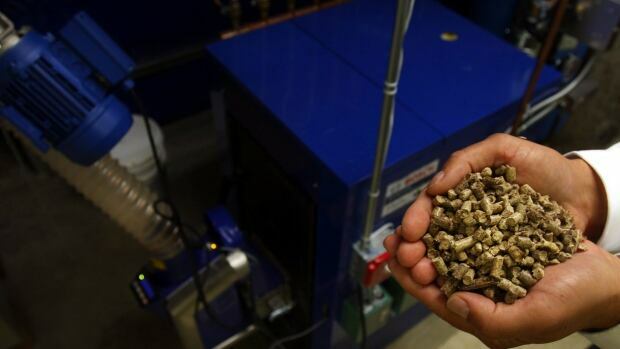 Richard White has been working in B.C.’s emerging wood pellet industry for over a decade. His organization, Eagle Valley ABM in Princeton, started off collecting waste fibre from regional pulp and paper mills to produce bedding for luxury horses and livestock. “Wood pellets are the greatest horse bedding in the world — it replaces shavings, sand, straw. It does a phenomenal job,” he said. But over the last three years, his company has ramped up production for some new clients: Asian countries that are using the same product to replace coal in their power grids. Taiwan’s first-ever cross-laminated timber (CLT) building has risen in Taichung’s concrete jungle—an impressive feat of engineering given the island’s hot and humid climate. Local firm Origin Architects & Planners designed the wooden high-rise as the headquarters of WoodTek, a Taiwanese firm that promotes wood as a renewable building material. Shaped like an upside-down staircase, the striking headquarters has fueled interest among local firms in using cross-laminated timber as a green alternative to concrete and steel. Located in Taichung’s Xitun District near the high-speed train rail, the WoodTek headquarters is an eye-catching landmark and symbol of progress in Taiwan’s adoption of green architecture. Strategic Team Lead at Weyerhaeuser Pembina Timberlands Bob Winship was at the Town of Drayton Valley regular council meeting on Nov. 23 as a delegate. Winship spoke to council about Weyerhaeuser’s long-term forest management plan and wanted to get input from town council. “The purpose of our presentation was to inform the council about Weyerhaeuser company’s current work in developing a new long-term Forest Management Plan for our Forest Management Agreement area. This plan will establish the latest goals and strategies to achieve sustainable forest management on the forested areas of public land near the community,” said Winship in an e-mail interview. …According to Winship, the Forest Management Plan has three purposes including undertaking inventory, determining conservation and forest protection plans, and establishing a level of sustainable wood supply. WASHINGTON _ The Obama administration on Monday set final rules designed to reduce the environmental impact of coal mining on the nation’s streams, a long-anticipated move that met quick resistance from Republicans who vowed to overturn it under President-elect Donald Trump. The Interior Department said the new rule will protect 6,000 miles of streams and 52,000 acres of forests, preventing debris from coal mining from being dumped into nearby waters. The rule would maintain a buffer zone that blocks coal mining within 100 feet of streams, but would impose stricter guidelines for exceptions to the 100-foot rule. U.S. Forest Service Chief Tom Tidwell has not announced any intention to retire with the coming change of presidential administrations, which is another way of saying he appears to intend to continue in the job he’s got. “We can’t speculate on the chief’s intentions,” Forest Service spokesman Byron James said on Monday. “He is a career employee, not a political appointee. There is no need to reapply for the position when an administration changes. As a career employee, he will continue to serve.” Tidwell was Region 1 Forester headquartered in Missoula before taking the job of chief of the Forest Service in 2009. Federal courts have begun to stop timber sales in Montana because the Forest Service has not consulted with the U.S. 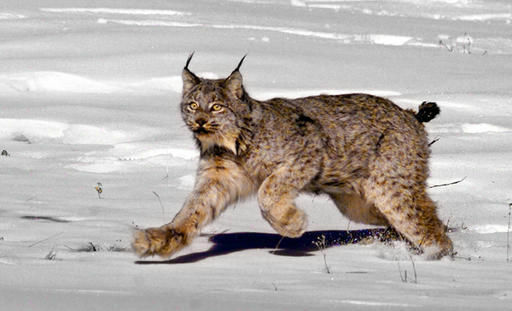 Fish and Wildlife Service to determine how its region-wide management plan impacts critical habitat for Canada lynx. In response to the court injunctions, U.S. Sens. Steve Daines and Jon Tester recently introduced legislation that would deform the Endangered Species Act by removing the consultation requirement. The senators issued a press release recently calling their legislation a “common-sense” approach that benefits sportsmen. Groups like the Rocky Mountain Elk Foundation joined in and praised the senators for their attempt to cut out what federal judges call the “heart” of the Endangered Species Act. The misguided legislation does not benefit sportsmen. The largest Haines State Forest timber sale in decades is moving forward. The State Division of Forestry selected a bidder for the 855-acre Baby Brown sale on Thursday. Astoria Forest Products of Oregon bid $274,000 for the 20 million board feet of Sitka spruce and western hemlock. It was the only bid. The minimum price was $250,000. The timber sale is located about 35 miles up the Haines Highway, between Porcupine and Jarvis Creeks. Astoria Forest Products is a subsidiary of Murphy Overseas USA Holdings. Some northern Wisconsin loggers are putting off timber harvests. The prices for timber products they deliver have fallen over the past eight months. Great Lakes Timber Professionals Association Executive Director Henry Schienebeck said some loggers are holding off on harvesting wood they bought under contract. He said an oversupply of raw material on the market is leading some to consider their options. “The guys are still able to produce the wood. Now, they’re trying to adjust their production levels to what the mill requirements are right now,” Schienebeck said. Larger mills don’t have as much need for wood since they have full inventories, according to Forrest Gibeault, analysis and investment operations director with forestry consulting firm Steigerwaldt Land Services out of Tomahawk. Amazon – The western Amazonian countries of Peru, Ecuador and Bolivia have implemented significant forest reforms over the last two decades to help smallholders and communities better manage and benefit from their forests. Despite the changes, however, many continue to manage their forests in ways that result in illegal logging. Why does illegal logging persist among smallholders and communities? In search of an answer, scientists from the Indonesia-based Center for International Forestry Research (CIFOR) traveled to community forests, agroforestry plots, sawmills, government offices and other sites in the three countries. As American foresters ramp up logging to meet the growing demand for wood pellets by power plants on the other side of the Atlantic Ocean, a new European wood energy proposal would allow the power plants to continue claiming their operations are green for at least 13 more years, despite releasing more heat-trapping pollution than coal. Most of the wood fueling converted coal plants in England, Denmark and other European countries is coming from North American forests. … The growing transatlantic trade is being financed with billions of dollars in European climate subsidies because of a regulatory loophole that allows wood energy to count as if it’s as clean as solar or wind energy, when in reality it’s often worse for the climate than burning coal. The woods at the Mass Audubon Habitat Wildlife Sanctuary in Belmont, Massachusetts—a well-heeled suburb six miles from downtown Boston—are pleasant but commonplace, the kind of place that New Englanders go to walk their dogs or get a taste of nature. But to Andrew Reinmann, a biologist at Boston University, this is also a critical ecosystem to study…. “More and more of the landscape is becoming fragmented,” Reinmann says, as we swish through a thick mat of fall leaves. Forests are important asset in fighting climate change, absorbing an estimated 30 percent of the carbon dioxide we emit from burning fossil fuels. But those estimates come from big forests, says Reinmann, and we know relatively little about how patchy forests function, and whether they provide the same services that large forests do. The share price of Britain’s biggest power station operator has jumped to a five-month high after the European commission approved subsidies for its conversion to burn wood pellets instead of coal. Drax was awarded a renewable energy subsidy contract by the government in 2014 to switch the third unit of its coal power station in North Yorkshire over to biomass. That prompted a state-aid investigation by the commission, which was concerned the estimates of the plant’s performance were too generous and Drax would be overcompensated. On Monday the investigation cleared the subsidy, which sees a guaranteed price paid for electricity generated by the plant.